Awarded Wine Spectator's Award of Excellence and Three Stars by the Salt Lake Tribune, Tuscany Restaurant offers the perfect charm to any occasion. As if in an Italian village, Tuscany provides a beautiful landscape and excellent cuisine for any event including business meetings, family celebrations, wedding functions, or small dinner parties. 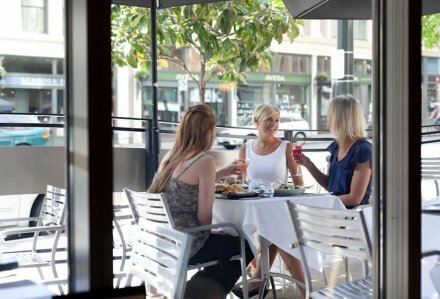 The Copper Onion, located in the heart of downtown Salt Lake City, next to the Broadway Theatre on 300 South is one of the new additions to the growing Utah "foodie" scene. Former NYC chef (and native Utahn) Ryan Lowder now brings his personal take on New American cuisine to his own kitchen with an approach inspired by his passion for Utah's outstanding farmstead ingredients and his experience as a chef cooking his way through Barcelona, NYC and South America. 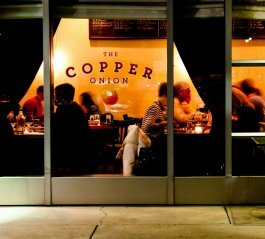 The Copper Onion serves a wide array of vegetable side dishes and a menu designed to explore and share. An insistent focus on the freshest and best is paramount; sausages and burgers are ground daily, bread is baked and ice cream is made in house, offering casual diners an exceptional experience at affordable prices. Simply Wonderful! A Joy To Dine At! Love The Ever Changing Specials! Some of the reviews that were sent to us. It's obvious that everything is made from scratch and with lots of care. The tapas being created daily is a great way to sample their menu. Offering a variety like pizzas, pastas, salads, and even Thai style noodles. Some of my favorites are the pulled pork sandwich, the lettuce wraps, the pork ribs, they are all fabulous. This is what I enjoy, a wonderful example of a small family owned restaurant where they really care about making great food. There's nothing rushed here, just a relaxed friendly atmoshpere with delicious unique entrees. Breathtaking Scenery and Award Winning Cuisine... Log Haven has received a long list of awards and commendations including Best Salt Lake City & Best Canyon Restaurant! 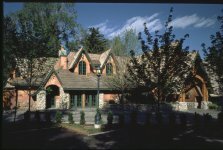 Log Haven is a beautiful log mansion, serenely nestled among pines, waterfalls and wildflowers, perfectly showcasing Utah's Wasatch National Forest, yet is only minutes from downtown Salt Lake City hotels. Enjoy scenic outdoor dining in summer amidst pines and fresh mountain air! In winter, relax by our warm fires and revel in the quiet serenity of the canyon. Romance has always been in the mountain air surrounding Log Haven. 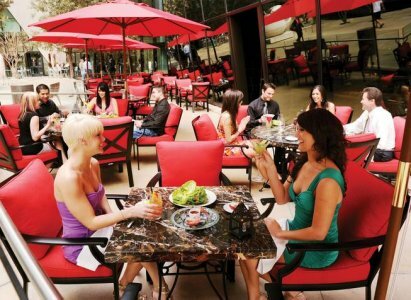 The distinctive dining destination is now a favorite spot for fine dining, weddings, anniversaries and celebrations of all kinds. Each week we'll continue to report on Salt Lake's dining scene which is more diverse, and quite frankly, more delicious than ever!